Something is going on in my heart right now and has been for a few months, and I pray it continues. I feel like I’m experiencing a personal revival of sort, except that the word “revival” makes me nervous to type because for me it conjures images of old big-haired men and bad “special” music and manipulative invitations. But what is happening to me has much to do with hearing the Lord and having a tender heart and this feeling that the Lord loves me and has His hand on my life, and nothing to do with guilt or manipulation, so I am trying to redeem the word revival from even my own perception. The Lord has been speaking and I find myself more open than I’ve been in the past. It’s been priceless to me. I’m grateful for it. One of the things I have loved about these past few months is that I have read some amazing books that have shown me new things about the goodness of the Lord. This week I read “What Women Fear” by Angie Smith, and it really touched my heart. Many of you may have heard of Angie Smith, and many more of you have likely prayed for her. Her husband, Todd, is in the group Selah and she began to blog in 2008 when they found out that the child she was carrying, a beautiful little girl named Audrey, would likely not be born alive because of serious complications. I stumbled onto her blog during that time and was so moved by her heart for the Lord and her honesty in writing through such an incredibly difficult time. It’s interesting that I prayed for her without knowing her and now the Lord is using her and her story to draw me closer to Himself. This is why I love the body of Christ. And I loved this book. Angie has struggled with fear throughout her life, as I certainly have and I know most of us do, and she writes honestly and insightfully about the struggle with fear and what we can do to live a full life trusting the God who made us. I saw so much of myself in her writing. I saw so much of my daughter Grace in her writing. It made me weep. I think I highlighted about 70% of the book in my Kindle. It is a powerful message straight from the Holy Spirit. In the book, which is written with prayerful intention, full of kindness and love for the reader, she takes a fear, explains how it has impacted her life, shows it manifested in the life of a character in the Bible, and explores how the Lord speaks to that particular fear. Reading it, I saw common Bible stories I have read a thousand times come to new light, and it was extraordinary. She opens herself up to the reader, exposing her fears and her story, and in it there is grace. So much grace. It was a really precious book. I’m starting it over today – rereading it because there is so much in here that needs to settle into my heart. I wanted to quote it for this post, but everything weaves together so well in context that taking anything out doesn’t communicate the message like I would wish. I just hope that some of you will read it. I highly highly recommend What Women Fear. A few months ago I started telling my family about this writer and pastor’s wife from Austin and how every.single.word she wrote on her blog and books seemed to be written for exactly where I was at that moment. Plus they were in the process of adopting from Ethiopia and you know me – that is the desire of my heart. So I kinda social media stalked her. A little. After several weeks of this, my sister started calling me out and I laughingly agreed, but I kept reading and kept sending because everything I read was simultaneously revolutionary and stupid simple (so simple because it is the way Jesus taught us to live 2000 years ago but somehow is a way of life we have talked ourselves out of following). 7 is a journal of sorts of a series of seven experiments where the author and her husband, and in some cases their children, intentionally lived with less for 30 days to change their dependence on stuff, and leave room for God to teach them things and grow them to be more like Jesus. These were fasts, and yes, they were hard. Jesus himself fasted because sometimes discomfort is good for our souls. One month she and her husband lived on just 7 foods (different combinations each meal) for a month. One month they lived in only 7 pieces of clothing (not counting underwear). One month they intentional gave away 7 items each day (and actually in the end gave away over 4 times the initial goal). This month touched me because they tried to not only give this to anonymous donation places like Goodwill, but also to actually get to know the poor and hurting around them and minister while building relationships and meeting needs. One month they gave up 7 media types and rediscovered long family walks, cooking together, and nights on the porch in the absence of the noise of constant stimuli. One month they spent money in only 7 places. One month they adopted 7 green habits, including building a family garden and giving half of the produce away through an amazing gardening co-op idea. (Read this article – so cool! If anyone in the DFW area knows of something like this, please let me know). One month they entered into 7 intentional pauses in their day to reduce stress and they practiced actual sundown to sundown Sabbath as Jesus modeled and commanded. These experiments weren’t just “let’s see how crazy we can be to make ourselves stick out like sore thumbs” – these were sustained periods of reality. The rest of the world does not live like us in America. We are incredibly wealthy people (if we make 35,000 a year we are in the top 2% of the world, if we make 50,000 we are in the top 1% of the world) praying for more wealth and feeling sorry for ourselves as if we are impoverished. But we are not impoverished. Even if we were to each undertake every one of these experiments simultaneously in the same month we would still have more, eat more, and waste more than a vast majority of the people in the world. These experiments simply make us think about the things we numbly take for granted in our culture and get us closer to what the rest of the planet experiences so that we can relate and empathize and love and feel something besides a constant greed for more.more.more. This challenges me. This humbles me. This excites me. I want to be a part of this. I don’t know where we fit into this. I don’t know how much my practical rational thoughtful husband can take before he ships me off to live in a bungalow somewhere with my sister (who he also deems a hippy). I don’t know how our “experiments” will look or how they will change us beyond the short period we undertake them, but I pray they will drastically change the way we react and interact with the world around us. And I know that this shift will be received by people in my world with one of two reactions. Half of the people in my world will be intrigued by this idea, and maybe enter into it with us. These people have a distinct feeling we are strangers in a strange world. They already are broken for the hurting, the poor, and the orphan, and they think that the world seems to have gone a bit mad, so they try to see the world through the lens of Scripture. They feel things and then they do something about it. They inspire me with the ways they are different from the culture around them. They act like the church was designed to act. I love it. But I also know this will be too much for some people in my world. This will place me firmly into the “extreme” camp. Some will go from wondering if I’m a hippy or involved with a cult, to flat-out believing that I have become some self-righteous freak who would be better off living in Africa or in the 1800s with Laura Ingalls. And I need to be okay with that perception. Because I know the tension I live with each day, the discomfort I feel even around Christmas when faced with the excess in our culture and in our home, and this book has defined that feeling for me and given me a plan for releasing that tension from my heart and mind. In one part of the book Jen talks to herself in 2004, and I related to that section more than she can know. In my 20s I lived in excess and competition and insecurity and somehow stuff and food and clothes was what I used to fill the empty places in my heart and define who I was. But I wasn’t fulfilled. If I could go back I would tell myself to relax, to stop buying and shopping and straining and trying so hard. I would explain the love of my Father and the rest and joy to be found in Him. I would encourage that version of me to live differently and take seriously the life of Christ. I follow a Savior who was a revolutionary and who said and did pretty maddening things. The things He said and did that made me furious and uncomfortable in my 20s is the stuff that resonates with and comforts me today. Sabbath is serious. Family is in the body of Christ. The more we give the less attached we are to this world. This is not our home. I would, if I could, go back and encourage myself to look more like Him, and blend into this world around me less. Blending in is boring. So at the risk of alienating many of the people who are important to me and who love me, I had to write about this book and what it is teaching me. Because I have many people in my world who are in their 20s, just starting out and defining who they are. And if I can impact even one to be thoughtful and prayerful about even the small decisions like the daily Starbucks habit (or Anthropology, or iTunes), maybe I can make a difference in how they live at 35 in their home with their kids. And many of my friends are like me, still in the defining process of life despite our age. This book cuts through the junk and gets to the real, and it’s a game changer. Get the book. It’s funny. It’s challenging. I am awake tonight, at 2:26 in the morning, for a reason. I am reading a book that I was told would change me and move me – a book which moved some people I love to begin the adoption process. I am about 2/3 of the way through the book and it has shaken me. It has made me realize that I am awake, and grateful for that fact. 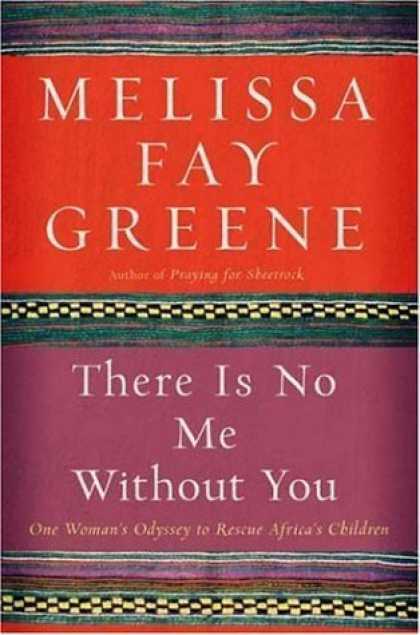 This book is about a woman in Africa who, after losing her family through tragic circumstances, begins to take children off the street into her home. She accidentally becomes a mother to dozens of children who are desperate for a mother’s love and in that, finds purpose and a calling higher than herself. The book is one of the best I’ve ever read. Growing in faith in Christ does not happened in a vacuum. There are parts of me that have changed as my heart has changed. My desires are different. My perspective is different. The things I love are different. As a child, I felt a certain way about things. Now, in many things, my feelings are the opposite. There is a Brooke Fraser song, Shadowfeet, that says it this way, “I am changing, less and less asleep.” I think that is what has changed in me – I have grown less and less asleep to the true nature of things in this world as Jesus has captured my heart. For me, in particular, I have been awakened to the reality of what is happening to children in our generation, particularly in Africa. I am not asleep, while around me I see a world of people who seem to be slumbering. Everyday, all day, I am aware of the reality, not shown much on television, not discussed often in polite conversation, that today 24,500 children will die under the age of five from easily preventable diseases and/or hunger. That is 8.8 million Rebekah’s and Grace’s per year. And what is particularly heartbreaking is that in Africa, they are preceded by the death of their parents from the widespread devastation of AIDS. So these sweet babies live in a world where first they see their dad get sick, waste away, and die, and then they wake up one day and their mom is dead in the bed beside them. And they get out of that bed, at 4 years-old, and go next door to tell someone that their mommy has died, but nobody will touch them because they are an AIDS orphan and therefore stigmatized. So they begin to wander, living in doorways and alleys, scraping out life alone at 4 and 5 years old desperate for a mommy’s touch. And they think that nobody knows this is happening. They think the entire world lives like this – hungry, frightened, alone. They don’t know that there is a world where money is plenty (and it is), where food is plenty, where children grow up under the watchful care of both parents. They don’t know that this world exists because all they see is the world where they band together in little groups of kids because much of the adult population has been wiped out. And yet, by and large, our world sleeps while this happens. The virtual goods industry in the US topped 1 billion dollars in 2009. That is sales of things that do not exist outside of a virtual world. We watch “reality” shows that are anything but reality. People have told me, “We need to take care of our own.” These people are our own – they are humans suffering and dying. In God’s kingdom, there is no national border, nor racial border. As Believers, we don’t have a choice – we have to help them. We are told to look after the widows and orphans, those who are hurting and helpless. That is why we are here. And so I am awake. Most of you reading this blog are awake as well and you know what I am talking about. Sometimes when I talk about it, or blog about it, people treat me like I am a loveable hippy idiot. I’m sure you have gotten that look, “Oh there she goes with her causes again.” But I know that this knowledge means I am awake, by God’s grace, and I am grateful that it haunts me. I am drawn to others who are also awake, and who together will help me push back the darkness crouching around the children of our world. It is such a joyful thing for me to connect with other people who are not content with sleeping. They are the friends who energize me as I walk this road and fight this fight. Because this is our fight as Believers. It isn’t to be the nicest people on our block with the shiniest kids. We are here on earth, filled with the Spirit of the Living God, for a reason. And that reason is bigger than ourselves and our own little kingdoms and 401k accounts. We are to push back the darkness and battle for the helpless. To bring heaven to earth and be light in this incredibly dark world. To feed people. Clothe them. Tell them about Jesus. Help them discover the abundant life. My friend Kelli Jones (also awake) recently went to China to work with orphans and is now beginning the adoption process. She wrote a blog about her experience and something she wrote has solidified this entire concept to me. She said that she expected, when around the orphans, to feel a sadness. A sense of loss. I have often wondered if I would feel that – particularly when leaving an orphanage. But she said that she found, instead, a powerful sense of the Spirit of God surrounding these kids. Psalm 68:5 says, “A Father to the fatherless, a defender of widows, is God in His holy dwelling. He sets the lonely in families.” This verse was validated in her trip to the orphanage. God’s presence hovered around His kids – like in small measure Justin’s presence hovers around our kids when he takes them to the park. His job as father is to guide them, protect them, care for them, love them. It was God who filled that role for these kids, and in addition He gave them joy and peace in the midst of truly difficult circumstances. It made so much sense when I read it. That’s why we are awake and why we are drawn to the orphan – that’s why this moves us. Because it moves Him. Because He is there and when we feed, clothe, love, help the orphan – we join in the work He is doing. When we press into them, we press into Him. How sweet of our God. This excites me. I am awake! I will someday see my husband, one of the most amazing fathers I’ve ever been around, as a judge finalizes his adoption of just a few of these children. And I will see the mantle of fatherhood shared from God himself onto my husband’s shoulders. I will see it for Bill Jones, as they adopt. I will see it for my brother Joe, as they adopt. But adoption is only the completion of a part of our calling. Once you are awake, your job never ends. You don’t just do your part and then fall back asleep. Those of us who are awake will always be giving, always be advocating, always be straining to do more to help those who are dying. Proverbs 24:11 says “Rescue those being led away to death. Hold back those staggering towards slaughter.” You don’t retire from this – this is our life and purpose and calling. I think of Major and LaRue Speights, two of the most Godly precious people I’ve ever known, or Claude and Janice Thomas, some of my personal heroes. Both couples are lifelong ministers of the Gospel who personify this concept of pushing back the darkness. They live lives of light in a dark world and God is continually opening doors for them to do greater and greater ministry as they follow Him in obedience. That is the life we have signed up for – that is the awake life. And I am so grateful for it. Yes we will face trials, yes we will encounter opposition, yes we will have days of doubt and will fall and fail countless times. But we are awake, and with His power and His grace, we will stand. I’m not totally sure why I’m writing this one – but maybe it will encourage someone else who is awake but who is feeling alone in their calling. Or maybe someone who is not awake is reading it and this will be used to shake them from their slumber. I know, from the comments I receive, that the typical person who reads this blog is wide awake and fighting the darkness with all their might. But if someone stumbles onto this blog who simply does not get why this is a big deal, please do three things. One, take a moment and pray that God would begin to move your heart for what moves His heart. It will feel silly at first, but God answers prayers and before long, you will find your heart is changing and growing to see things the way He sees them. I know because I did this – and God changed my mind and my heart. Two, log onto Compassion.com and select a child to sponsor. For $38 bucks a month you pay for a child to go to school and hear about Jesus around the world. It will wake you up, I promise. I also have done that – and I credit Compassion for opening my eyes to the world. And three, start looking around and doing something. Maybe read the book, maybe volunteer to help at a shelter, maybe work in the nursery of the church you’ve attended for a while but haven’t served. I promise that all around you are opportunities for you to help bring light to this dark world, and once you start doing it, you’ll fall in love with it. Life is too short to live it asleep. Through God’s grace, we can wake up.